TORONTO, February 9th, 2012 – A showdown between two of Canada’s top bantamweights (135 pounds) – undefeated Stoney Creek sensation Josh Hill (7-0) and rising star Eric Wilson (5-1) from Saskatoon – has been added to The Score Fighting Series (SFS) event at the Hamilton Place Theatre on Friday, March 16th. Additionally, a lightweight (155 pounds) matchup between unbeaten Jason Meisel (2-0) of Caledonia and Mike Sledzion (3-2) of Barrie; a featherweight (145 pounds) battle between Lyndon Whitlock (5-2) of Hamilton and Cory Houston (4-1) of Winnipeg; and a heavyweight (max 265 pounds) clash between John Macphearson (1-1) of Hamilton and Craig “War Dog” Hudson (1-1) of Brantford, have all been confirmed for the event lineup. A marquee lightweight matchup between UFC and PRIDE veteran and Xtreme Couture team member John “The Natural” Alessio (33-14) and Strikeforce and WEC veteran and Team Quest member “Diamond” Ryan Healy (19-9-1) was the first fight confirmed for the event. The 25-year-old Hill is part of a growing, new breed of MMA fighters who begin their careers without a concentration in any single combat discipline, but rather with a multitude of weapons in all areas of the hybrid fighting sport. Training primarily out of Iron Tiger Muay Thai, Pura BJJ and Bruckmann Martial Arts, Hill showcased a prolific striking arsenal at the start of his career, but has recently relied more heavily on his wrestling skills to secure wins. Taking the fight to the mat, however, will be a dangerous strategy against Wilson who possesses a dangerous ground game, including brutal leg locks capable of finishing fights in abrupt fashion. 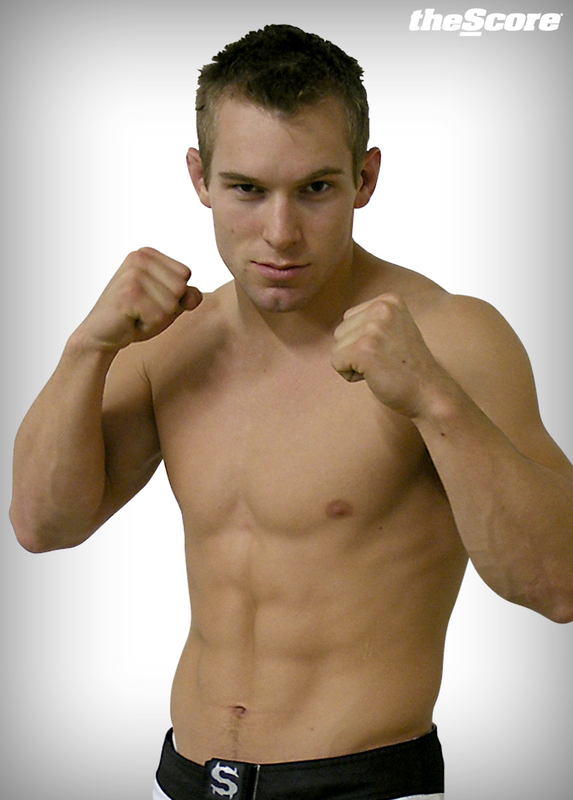 Also 25 years of age, Wilson trains out of Outlaw MMA and holds a victory over current UFC fighter Roland Delorme. Wilson suffered his first professional loss last May against another top bantamweight in John “The Haggis Basher” Fraser. Many MMA insiders believe that neither Hill nor Wilson will look to go to the ground, and that this fight will be settled on the feet. Tickets for The Score Fighting Series event start at $30 and are on sale now at the Copps Colesium box office and online at www.ticketmaster.ca. This entry was posted in Events, Features and tagged Cory Houston, Craig “War Dog” Hudson, Eric Wilson, Jason Meisel, John Macphearson, John “The Natural” Alessio, Josh Hill, Lyndon Whitlock, Mike Sledzion, The Score Fighting Series, “Diamond” Ryan Healy. Bookmark the permalink.